Aangirfan today reports on Mossad and the CIA in Greece. The bad guys have had a series of cunning plans designed to get control of Greece. Now, in August 2010, Israel's Netayahu and Greece's George Papandreou have been discussing expanding military ties. This is bound to put pressure on the Turks, who have no love for the Greeks. Exclusive JSSNews. While relations with Turkey are at their lowest, Benjamin Netanyahu, then, for the first time in decades, the historic enemy of Ankara: Prime Minister of Greece. 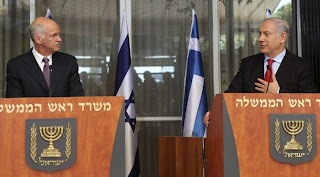 Here is the full speech in French and Netanyahu Papandréaou (July 22, 2010). Welcome to Jerusalem, Prime Minister Papandreou. 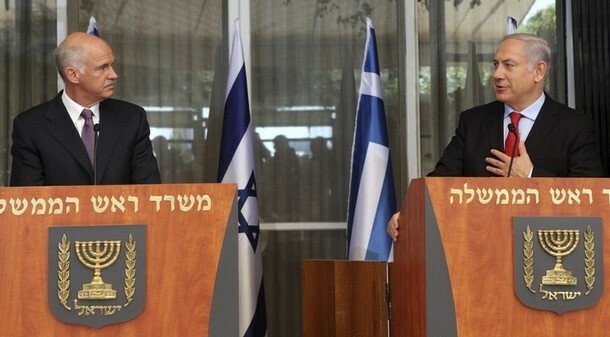 We always try to know if this is the first official visit by a Greek prime minister in Israel. One thing is certain, it is certainly the first official visit since many decades and I am very pleased to welcome you here today. Historically, Athens and Jerusalem were the two foundations of our common civilization. Thus, most progress, freedom, culture and values of the world we live in today were shaped by ideas that are born in Athens and Jerusalem, and indeed, our relationship has continued to modern times with the Jews of Greece, the Jews of Salonika, which are an important part of our modern renaissance. Today, modern Greece and modern Israel are the pillars of stability in the Eastern Mediterranean and I think we're also a major partner in the quest for peace - peace between us and our Palestinian neighbors and peace throughout region. I welcome the opportunity of your visit to try to find new solution to peace but also to deepen the relationship and friendship between our two countries. I also want to strengthen our ties, starting with economic ties. The first time we met was in Moscow. I had the opportunity to discuss with you the enormous challenges to face, what you were doing at the time. Today, I'll have the opportunity to hear your views on the overall situation in your country I want to know the steps you have taken to overcome your challenges. Believe me, Mr. Prime Minister, I know how much can be difficult to reform. We appreciate everything you do and I want to do everything I can to improve economic ties between Israel and Greece for the benefit of our two countries. I think we have much to do. We know that to maintain the living standards of advanced countries, we need technology, we need to modernity. It's something we can share in abundance for the benefit of our peoples. One of the things we had the chance to speak briefly is the challenge posed by the Iranian quest for nuclear weapons. I just returned from Washington. I appreciated the fact that Obama has signed a law to stiff penalties. I hope that Greece and other European countries will follow America's lead on this issue. Similarly, I know you will meet today with President Abbas. We discussed our commitment to peace and our desire to begin negotiations as soon as possible ... Not really direct negotiations in fact, but the search for a conclusion of a peace deal. There are many skeptics about this. I am not one of them. You no longer Prime Minister. I want to reiterate that we are grateful for your efforts - both to strengthen our economic ties and bilateral, but also to strengthen and expand the circle of peace, something we all aspire ... Something which our peoples aspire. And I know that this is a goal that you personally share. And who are the "Jews of Salonica" that Netanyahu brags about and says are so important to Israel's "modern renaissance"? ..."In fact, the Sabbatean community which flourished in Salonica is the only heretical sect in the history of crypto-Jewry with so well-established precepts and institutions. The Ma'minim—believers in Hebrew—they called themselves were voluntary converts, a mass phenomenon without a precedent in Jewish history. They were considered as Muslims publicly; Ten Commandments were replaced with a new religious order based on eighteen precepts, las Incomendensas, as they called it in Judeo-Spanish." You know they don't exist, so why would he talk about them? If supporters of non-Turkish Erdoğan often express hostility toward primary what they believe is a "Judeo-Masonic curse" (we must admit that unfortunately very few people grasp the subtleties of history Turkish if loaded), the Turkish Islamist movement of the AKP appear to have them, a more nuanced view of the Young Turks: thus, it is well known in Turkey Erdogan himself has referred publicly and favorably Ziya Gökalp and to Mehmet Akif Ersoy, two great intellectuals Young Turk if he is. The Jews want to shift power in Turkey from the Doenmeh which controls the military, to the AKP or a like front organization, which will appeal to the Arabs and the EU. Do not expect the Doenmeh to lose influence. This is all done for appearances' sake. In order to place Turkey in the EU, the Jews had to create an upheaval and popularize Erdogan and the AKP in the eyes of Europeans. Israel's brutal assault and murder of (Kurdish martyrs? Kurdish Mossad?) Turks provided the means to achieve this objective. Israel's attacks on Turkey through their PKK front organization provide a further means to change Turkey into a nation the Jews can more easily pitch to Europeans as a "Democracy" worthy of Europe. I believe the whole operation was staged for the benefit of Israel and its puppet government in Turkey, the AKP and the military which are both arms of World Jewry, so as to make the Jews' agents in Turkey leaders of the Muslim world, and so as to open the door to EU membership for Turkey so that the Jews can flood Europe with Africans and Asians and further erode the natural sovereignty of European nations, grossly expanding Jewish World Government. It is telling how the AKP destroyed its own momentum against Israel and how it again and again protects Israeli and generally Jewish interests over Turkish interests. Phukkin'A AP. The string of pearls runs down the Old Silk Road, not the littoral. I bet the fact the ChiComms have bought out authority over Greek ports has not entered the equation? The fight between Turkey and Rothschild Corporate Enmity is a fake. ya looks like it incoming. though for sure you've been saying it for a long time. also see the next post down for more of the same sort of thing. Here is a twist on the Russian fires. weird AP, reading the latest post, and your link goes to a blog that no longer exists..... I wonder why? yes i realize that about the blog. 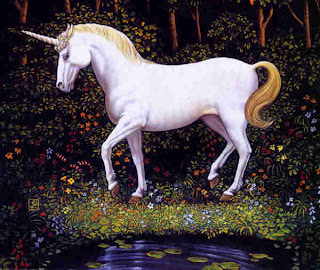 i found it in the morning, looked around, went back an hour or so and it was gone. not only that but it was gone from my history, as though i had never been there. i went into the cache to find the information. i guess i have a minder. i guess we have as a country enough taxpayer money to waste on monitoring private citizens exercising their first amendment rights, and invading their privacy by tampering with their computers. totally pathetic. not that it comes as any surprise since i've been doing this a long time. i apologize to my fellow citizens that our government wastes our money watching me blog. after all i am just a wacky conspiracy theorist right? also check out suraci, he has a video posted of being buzzed by a chopper, something that happens to him regularly when he's out biking. weird, that was just like when the muslims against sharia made an abrupt and foul appearance on my blog, recently I went back to look for their stuff, and it was gone, all gone.... As if the comments were never made and the numbers of comments had been changed. I assume google scrubbed it. And they may have scrubbed that blog. wow, i missed that episode at your blog pen! sheesh. well i won't get started. all i can say is if what we write is good enough to get us minders, then it's a shame that more of our fellow citizens don't avail themselves of the information. after all i don't do this for my health, and not for money neither. There are a lot of 'Jews' about! "There was a thriving Jewish community in Pakistan particularly around the city of Karachi but also in other urban areas up north such as in Peshawer and Lahore...Pakistan's Jewish population is believed to number around 700." - Jewish ethnic divisions - Wikipedia, the free encyclopedia. yes there are many subdivisions. i think that becomes a useful tool because it allows blame to be cast onto specific sub-groups as needed. Editor’s note: I don’t know that I would necessarily categorize all Semitic groups as Neanderthal man. Historically there was a contingent of Khazars, know as Edomites who seized cultural control of the Palestine region. They were congregated in the Caucasus mountains and many were routed into China where they were defeated by Ghengis Khan and subsequently fled into Japan. This is evidenced by 1000 year old star of David emblems on Japanese monuments. There is some discussion as to whether or not the Ainu, a European type ethnic group were conquered by outsiders. It was mainly the Ainu who displayed the uncommon valor of the kama kazi pilots during world war II. The present day Ainu have been relegated to a very small segment of present day Japan. We know that Palestine had also a large group of Scythians in the distant past who migrated and populated what is known as present day Ireland. We indeed know that present day Palestinians are part Irish and many display the light features and hair in this respect. The Kurds are also a European remnant. It was hard but I get it, they are expanding the circle of peace. If the Greek prime minister believes all this the Greeks had better go down to the nearest 7-11 and appoint the first guy they see behind the cash register as the new prime minister. don't we have classes on bullying? Pakistan: unlucky in everything then? really? would a false flag have to come first?